The only regret that I have when it comes to reading is that I had not discovered P.G Wodehouse until recently. The books belonged to my husband and were lying on my bookshelf and I did not even take a look at them. I had heard about his books and the beautiful use of the English language and his humor, earlier. Humor was a genre that I did not like in particular, as a lot of trash is sold in the name of humor. One fine day, wanting a light read I picked up 'Much Obliged, Jeeves'. I was laughing my heart out with every page. Not only was the writing impeccable, the humor was top notch! Bertie Wooster and Jeeves entertained me so much that it was the best distraction from real life that I'd got. The language used is a bit complex and honestly I did have to use the dictionary quite a number of times, but I learned so much in the bargain. Not only did I learn new words that were as beautiful as they were twisted, I learnt there all you need is a handful of characters to make a story interesting. The sentence formation and the play of words and exclamation was absolutely brilliant. I re-read a lot of paragraphs just to let that sink in. How can anyone write so beautifully? The humor was the best I've ever read or seen. I could imagine the characters in the head and feel their voice too. But you know what is the best part of Wodehouse's books. The sarcasm. Mainly due to this, I'm a fan of Sir Pelham Grenville Wodehouse for life! I read 'Galahad at Blandings' next. While I did miss Jeeves here, Lord Emsworth's beloved prize pig, Empress of Blandings more than made up for it. What an imagination! The humor is much better in this and I've read this book twice already. I have a lot of other books from P.G.W but they are in PDF format on my laptop. I hate reading stuff on a laptop. Kindle or iPad I don't mind, but on a laptop it is difficult to know where exactly you are reading i.e what part of the page. I find it tough at least. I did start 'Three Men And A Maid', but I found it difficult to read on the laptop. So stopped. While the ones available online are pretty expensive, I know that it is worth it. Not only are his books entertaining, they teach you so much! Still, I'll visit my favorite bookstore and look for some old copies of his books this weekend. He has written so many books and I've just read two of it. Embarrassing I know, but I'm gonna make up for it very soon. Which of his books are your favorite? 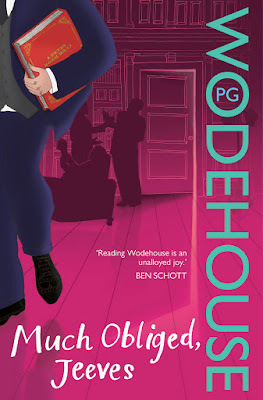 I discovered PG Wodehouse only last year, though his 4 books are lying with me for years now. I have read Right Ho, Jeeves. I hope to read the remaining 3 books soon. I love his writing. It improved my vocabulary. I too have read just 2 books of his and the first book that I read was a chance find in my college library between those gigantic textbooks! Aw I love Wodehouse! Blossoms has old copies, btw. The first I read of his was A Damsel in Distress, and it sent me into a daydreaming frenzy :P Sigh! Even I started Three Men and a Maid, and gave it up for the exact same reason - mine is a PDF and just couldn't read it. Ah, I guessed you saved him for a separate post and I think I mentioned it in a comment! 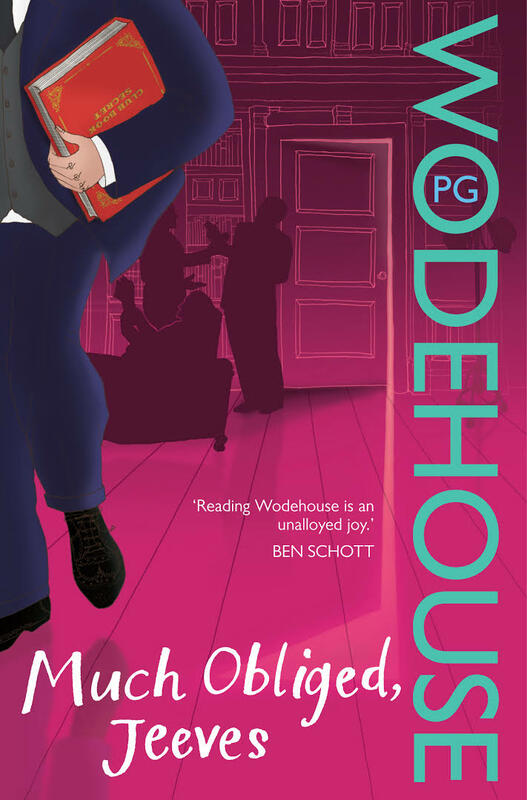 I worship Wodehouse and have read all his books. Had all of them, but thanks to *&^%s have also lost a few. YouTube has some fabulous episodes from his short stories series! How come you did not mention the school series he's authored?